Here's Why This Year's Teenage Dance Challenge Auditions Might Be The Best One Yet! 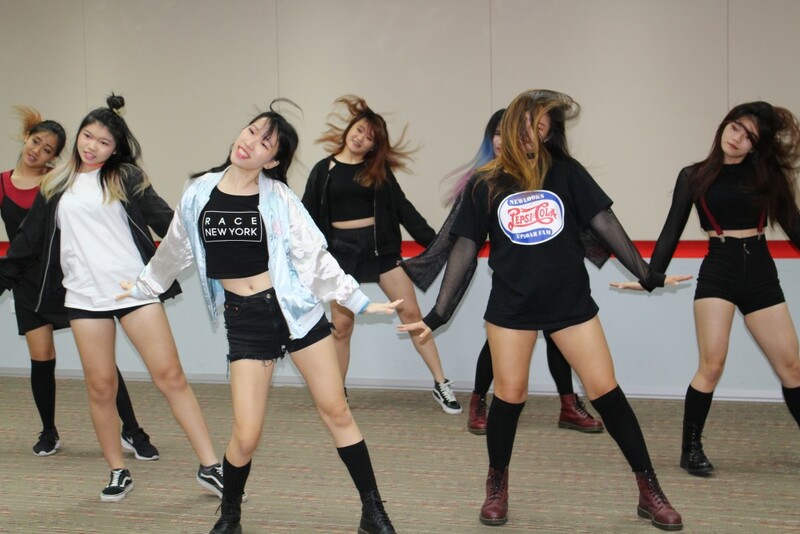 Teenage Dance Challenge 2017 kicks off with an exciting audition held at the Management Development Institute of Singapore (MDIS) campus, and boy was it buzzing from start to finish. One of our favourite auditions yet, we saw tons of talented dance crews showcasing their unique styles and battling it out for a coveted spot in the TDC 2017 finals. Buckle up, as we bring you the thrills, spills and feels of what went down! 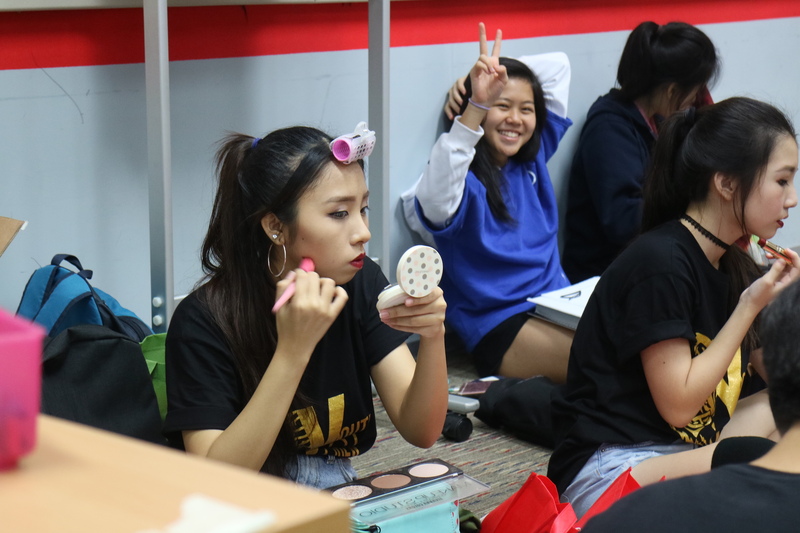 Looking good is all part of the dance performance package, and our contestants ensured they’d land a strong first impression by painting their game faces on. The holding room held witness to brushes, swipes and dabs as the crews swiftly put their fiercest faces forward with bold eyeshadow looks and bright lips to boot. Even the boys weren’t left out, with male members sporting flawless makeup as well. Many routines would inevitably involve tons of hair whipping (back and forth), so a dancer’s gotta do what a dancer’s gotta do – and that’s style their hair. Contestants showed up in hairdos spanning from ponytails to high buns to braids, with some hair-spraying them to perfection and the lads gelling their ‘dos sky-high. Gotta nail that hair whip to a T! Contestants were divided into two categories: Kpop Dance Cover and Street Dance, but one constant throughout was the many teams who chose a myriad of BLACKPINK songs as their dance track, particularly the punchy ‘BOOMBAYAH’ and ‘As If It’s Your Last’. Most female groups showcased their girl power shimmies and elaborate imitations of the fierce quintet, with some succeeding in channelling their inner BLINKs effectively. Just take a look at GJAT above, who impressed with a BLACKPINK medley of four hits! 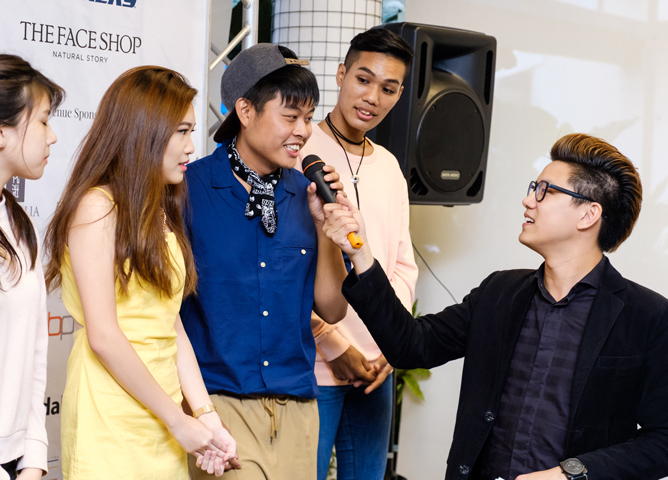 While the more experienced dance groups exuded the confidence of seasoned pros upon stepping into the auditions, that did not intimidate rookie crews from bringing their A game as well. Some even confessed it was their first time dancing in front of strangers and trying their hand, or feet rather, at any competition of sorts. Every dream starts somewhere, and we’re both honoured and elated that these youths chose TDC 2017 as their very first competitive platform. Pop culture and dance fans will be quick to point out that this is a #DeathDrop, a show-stopping dance move made famous by a popular reality TV show. Trust the So Ratchet Crew – fierce blue lipstick and all – to deliver the gasp-worthy stunt during their electrifying auditions. It’s no wonder the crew scored themselves a Golden Ticket to advance straight to the finals, making them an early favourite in the competition. The biggest component of a high score in the judges’ books is definitely a sleekly pulled-off choreography, and the day saw no shortage of such flawless coordination. The different groups took to every nook and cranny of the audition area – in front of washrooms, between corridors, or just about any space available – to rehearse their routines relentlessly! Whether it’s a boys club or girl group, majority of the dance crews stood out for their statement looks as well. 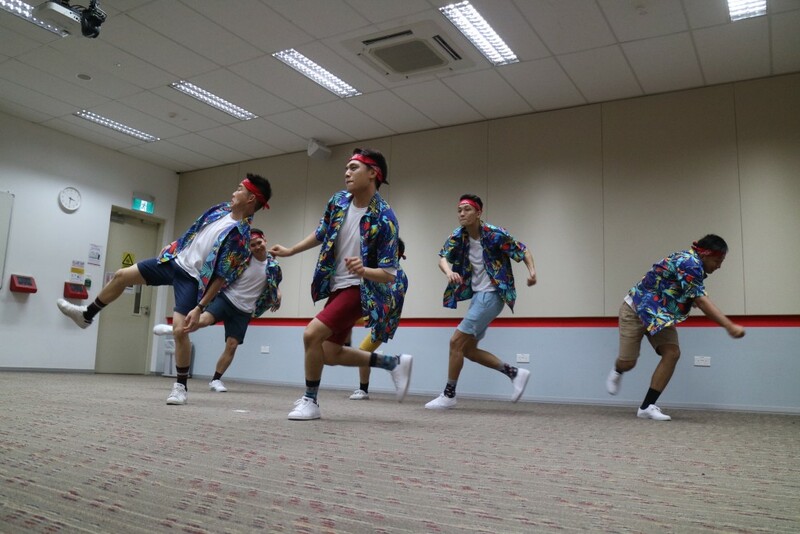 To be a dance crew you’d have to nail the look, and troupes like Kaiju and Ratchet Nutz certainly caught everyone’s attention with their sense of style, decked in Hawaiian-print shirts and pink hoodies respectively. Ultimately, it was the coveted Golden Ticket that all crews vied for, which gave them an assured ‘yes’ straight to the finals and resulted in screams, cheers and fists in the air by those who scored the golden slip. In the end, only four teams took home that fast pass: So Ratchet Crew, POSSE, Lunaby and TMVMT scored an advancement to the finals where they’ll be competing head to head, joined by others who made the cut! Here’s who will be competing in the Teenage Dance Challenge 2017 Finals! Congratulations to all finalists! 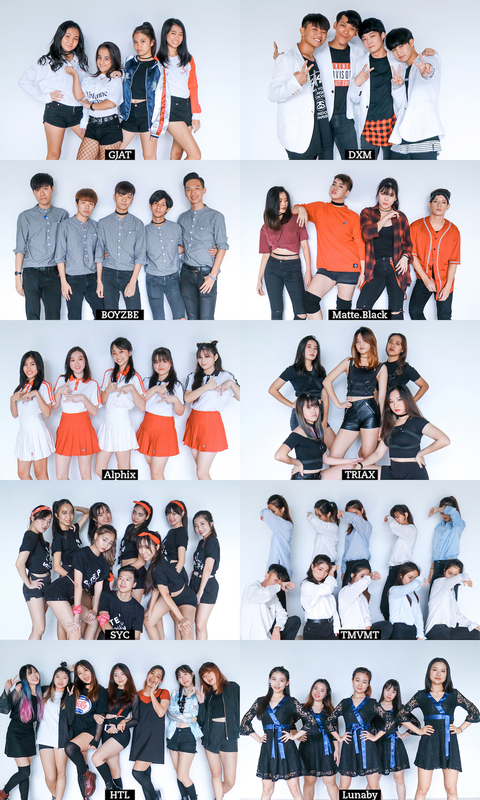 Catch them LIVE at our Teenage Dance Challenge finals and show your support for your favourites! You Can Now Receive A Tikam Freebie With Every Copy Of Teenage! Hello dear readers, our August 2017 issue is teeming with goodies for you! Here are all the awesome Tikam Tikam freebies you’ll have a chance to score with every issue of Teenage. 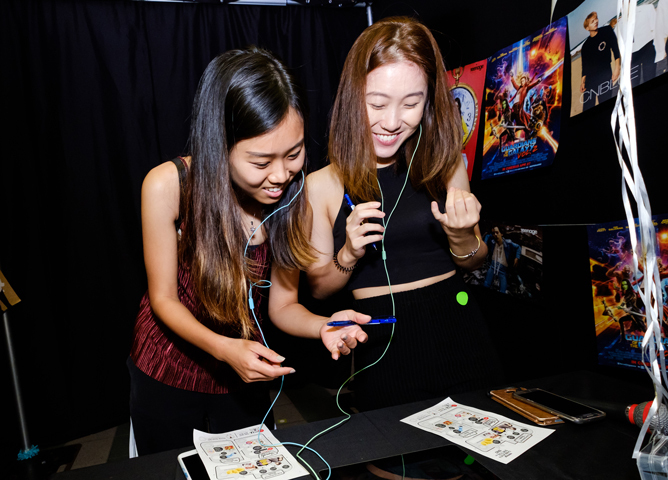 For those who aren’t familiar, the Teenage team prepares a special Tikam Tikam issue every year, where we treat our readers to a surprise freebie that comes with each copy of the magazine. And this year might just be our favourite because not only do we have local pop darlings The Sam Willows on the cover, the goodies you’ll be able to get will definitely come in handy. A gentle yet effective way to remove stubborn makeup, the Bioré Oil-Control Micellar Cleansing Water rids skin of sebum and excess buildup without stripping skin of its natural oils – which is especially important for those with oil-prone complexions because over-cleansing may result in skin producing even more sebum. Plus, it has an anti-bacterial formula that helps to prevent acne outbreaks while minimising the appearance of large pores, and contains enriched Collagen to help brighten your complexion. Talk about a multi-tasking product! We all know that sunscreen is an absolute necessity these days. But did you know that applying it once a day won’t suffice, especially in our humid weather? Enter Bioré UV Aqua Rich Watery Essence SPF50/PA++++ – a lightweight, sweat- and water resistant sunscreen that’ll save you the hassle of reapplication throughout the day. It also doubles up as a handy makeup base that’ll brighten and plump up skin for those off-duty, no makeup days! With its zero-in sebum control technology that helps regulate sebum secretion while reducing outbreaks, the Curél Sebum Care range has a gentle formula that’ll soothe sensitive skin, and restore skin’s barrier function. Use the Sebum Care Lotion before the Sebum Care Moisture Gel – the former will prep skin for better absorption, while the latter leaves skin feeling fresh and hydrated. A staple in any teenage skincare junkie’s arsenal, the For Beloved Girl Mineral Cloud-Silk Mask series is specially developed for millennials looking for high quality yet affordable beauty solutions. Boasting 6 different mask types targeting various skincare concerns – from pore cleansing to puffiness eliminators to hydration restorers – our favourite is definitely the Oil Control Mineral Cloud-Silk Mask. Touted as the ‘oil shine terminator’, this mask contains tea tree oil and zinc gluconate to regulate excessive oil secretion and terminate shine, revealing flawless skin. Make jotting down dreary notes fun again with this aesthetically pleasing Kaplan notebook. Apart from being able to draw however you please on this line-free notebook, Kaplan has also thoughtfully included some tips for self improvement that’ll help you “take your dreams to the next level”. See what we did there? Gearing up for some fun in the sun? 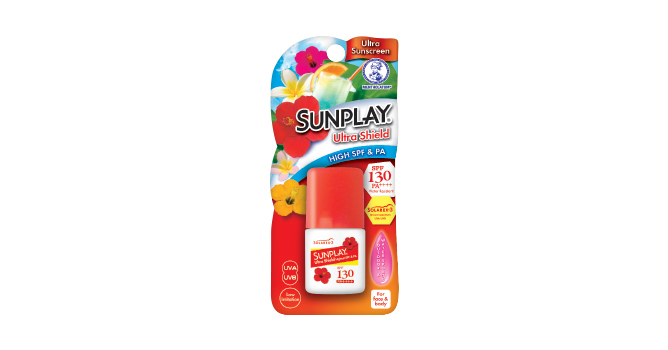 Grab Sunplay’s Ultra Shield SPF 130/PA++++ for the road. With its high protection against harmful UVA and UVB rays, and high sweat and water resistance this handy trooper will keep you protected even through long hours of water and sun activities. Formulated without 10 additives and artificial fragrances, THEFACESHOP’s Dr. Belmeur skincare range is great for sensitive, dry and acne-prone complexions. We especially like the Daily Repair Foam Cleanser, which contains salicylic acid to gently slough off dirt buildup and unclog pores, and the Daily Repair Ato Salt Cream which deeply penetrates to provide hydration and soothe dry and itchy skin. Now that you know all about the cool Tikam Tikam freebies, it’s time to get your copy and treat yourself to one of these awesome gifts! Keep up the festive cheer from our nation’s birthday with these fun-filled activities. 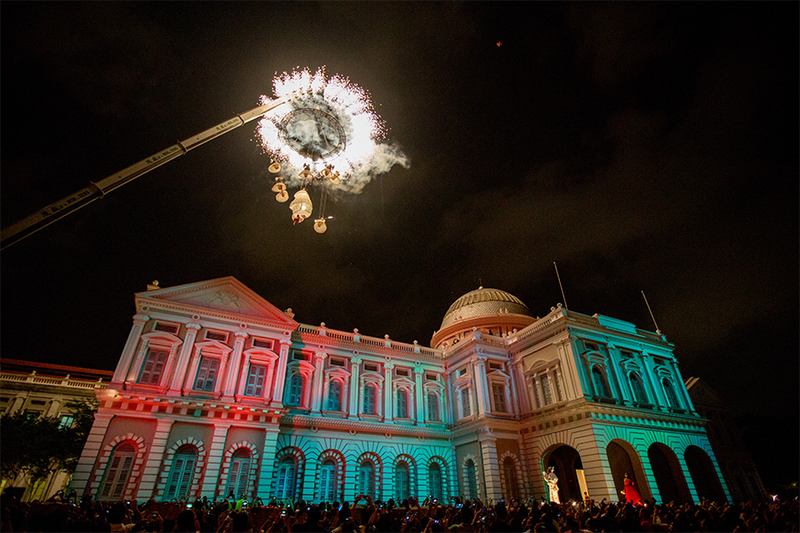 From great international performances to local-centric markets, see what our little red dot has to offer this August. 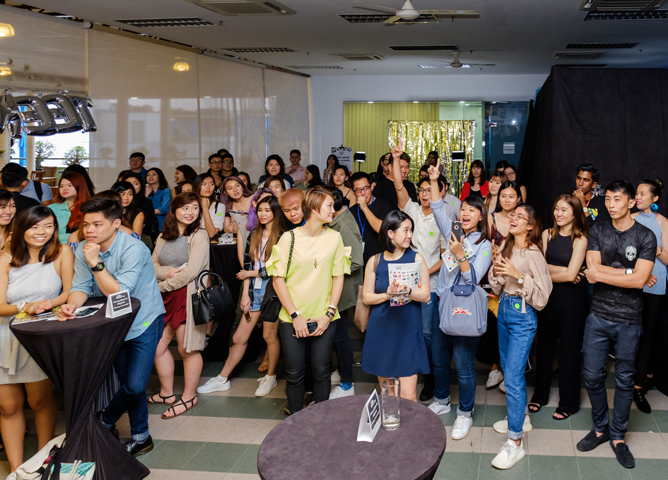 Having wrapped up the Snapshots of A Little Red Dot Photography Competition where entries were called to capture the very essence of what it means to be Singapore, you can now admire the submitted works at the Capitol Theatre. There will also be a series of photographic workshops happening on the 5 Aug.
Visit Our Shutter Journey for more information. 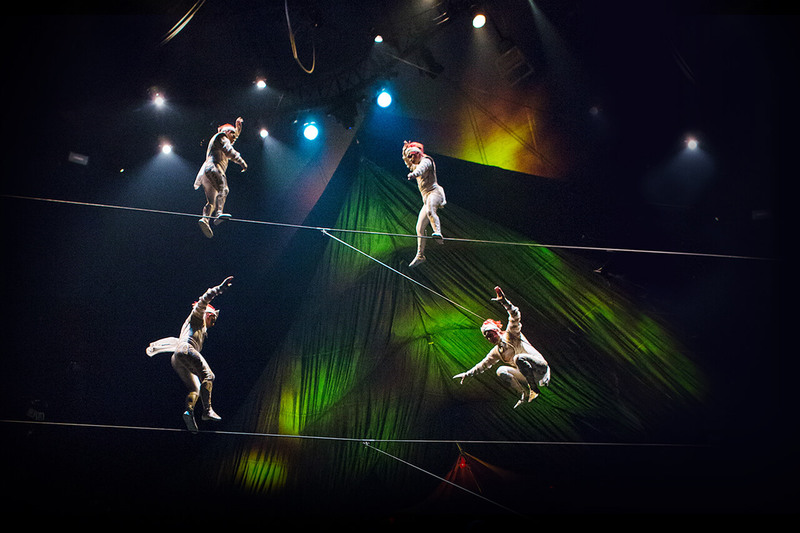 This world-famous circus is now back in Singapore with a brand new story, featuring stunning acrobatic performances with hilarious clowning tricks that will sure to entertain you and your family. Tickets from $68.50, visit Sistic. 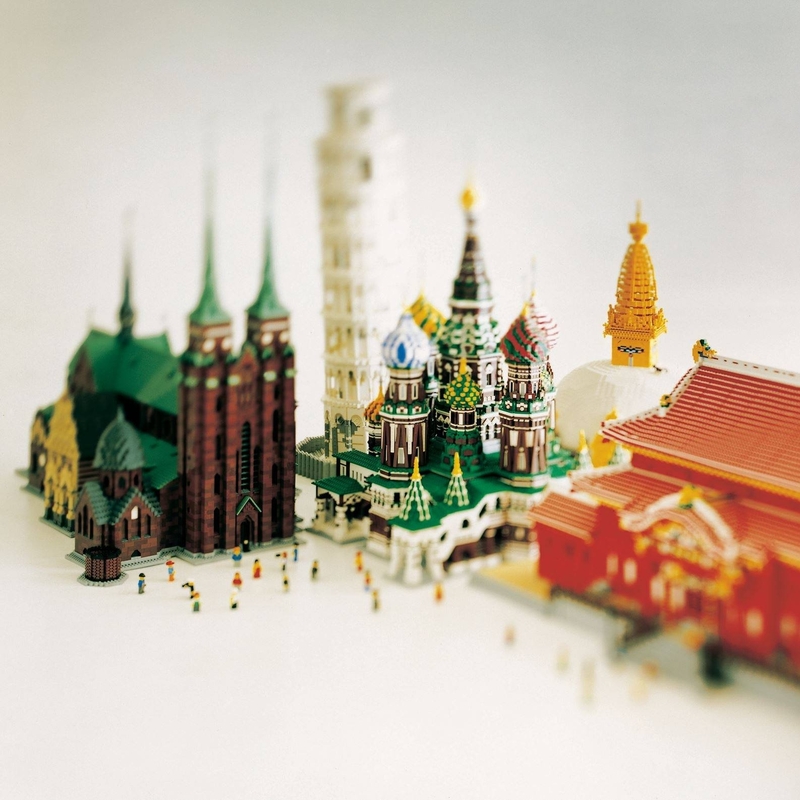 We’ve all grew up with LEGO, so we already know the importance of these little building blocks when it comes to fostering imagination and creativity. Now, come witness what these blocks can do in helping raise awareness for UNESCO World Heritage Sites. Explore the wonders of the world right here in our backyard. Tickets from $13, visit APACtix. This year’s edition of the Singapore International Festival of Arts will boast a strong Singaporean lineup – of which 15 out of the 23 curated productions are done by Singaporean, or Singapore-based artists. With things already in full-swing, head over to their website for more information about the various shows and when they are being screened. 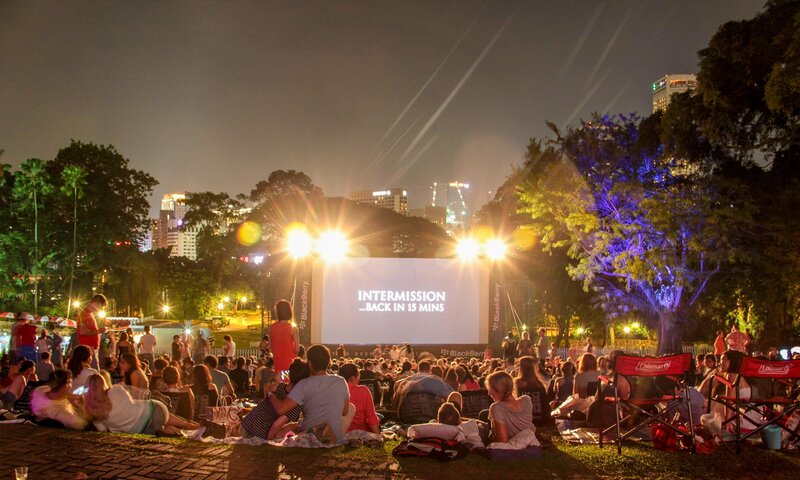 Forget conventional cinemas – what better way to watch your favourite flicks than lounging under the stars amidst the beautiful amphitheatre of Fort Canning Park? With blockbuster season soon upon us, film buffs can take their pick from an eclectic selection of cult classics and recent hits ranging from Grease to Moonlight to Baywatch. 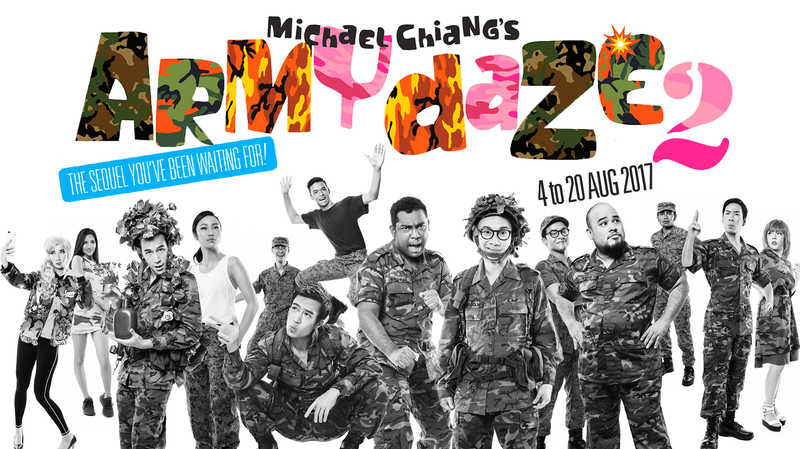 Tickets from $27.80, visit Films At The Fort for more information. 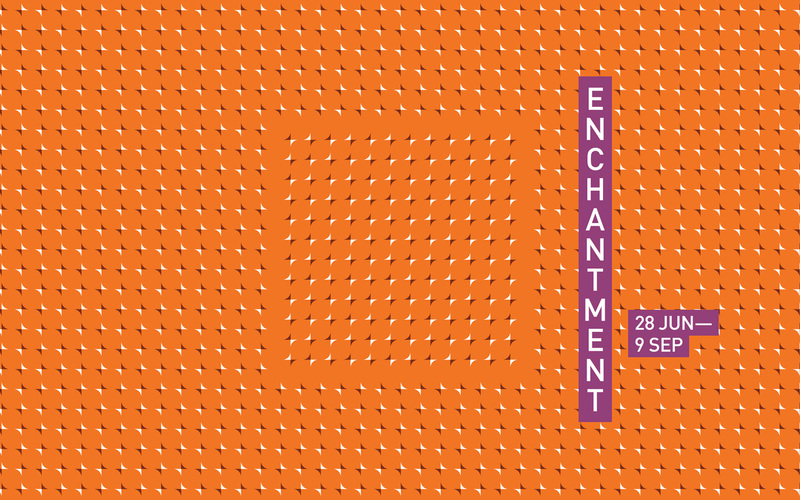 Celebrating the best of our Civic District, which stretches from Empress Place to St Andrew’s Road, watch the place come aglow with festivities, performances, art projections on the many historic buildings, and even giant bunny sculptures. Visit National Gallery for more information. There’s no better way to celebrate our nation’s birthday, than to learn more about the local brands. 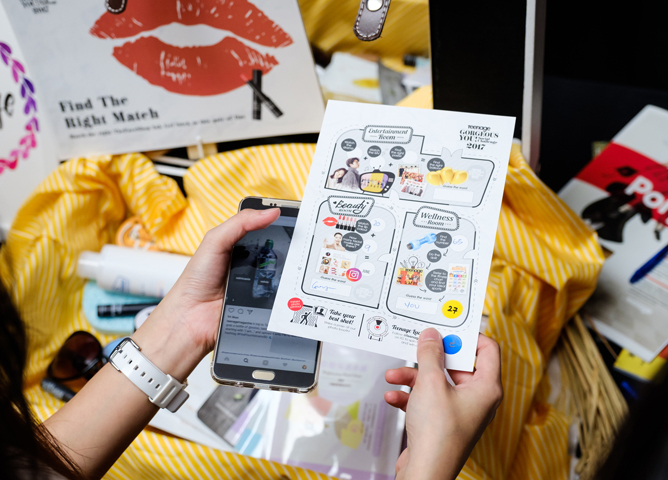 Known as a “design-centric pasar malam“, expect locally-created knick knacks and exclusively launched items that help tell the Singapore story. 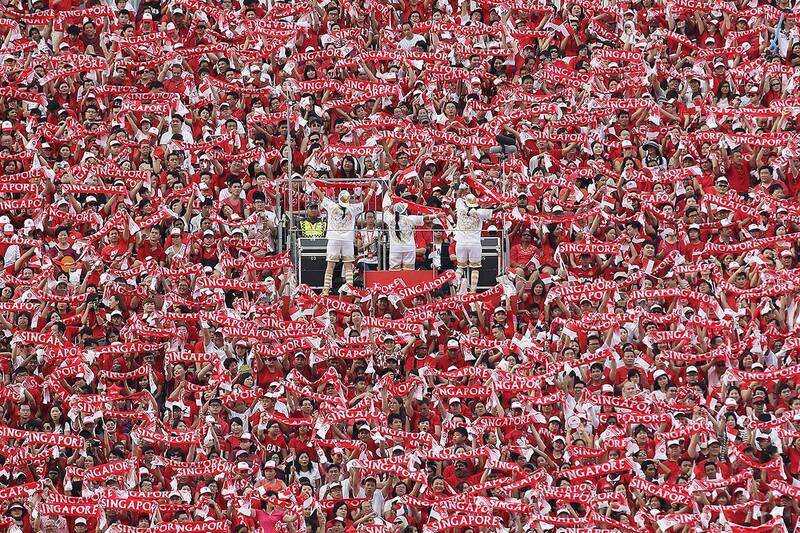 Come immerse yourself with some patriotic spirit and get right in the mood for National Day. For more information, visit The Farm Store. Those who cannot live without their cup of joe might want to check out this year’s installment of the Singapore Coffee Festival. 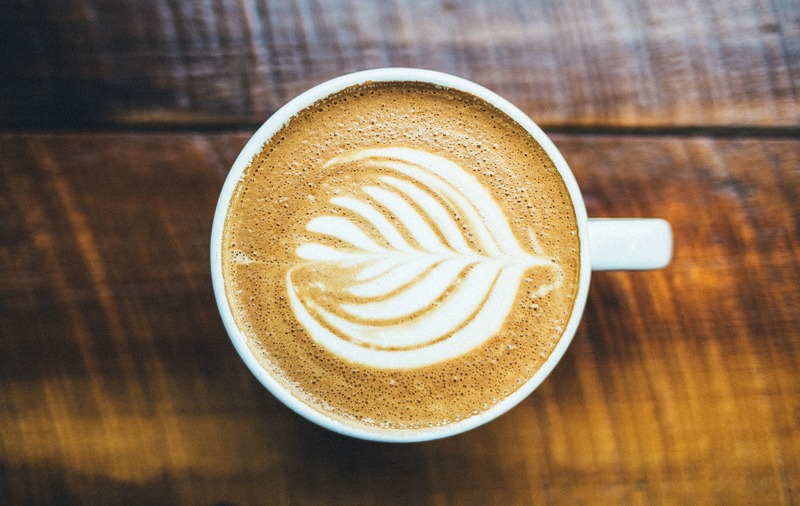 Explore the very best of our local coffee scene, with your favourite cafes and coming together to bring you the finest brew. Come for the coffee, but stay for the local acts that will complement that drink perfectly. 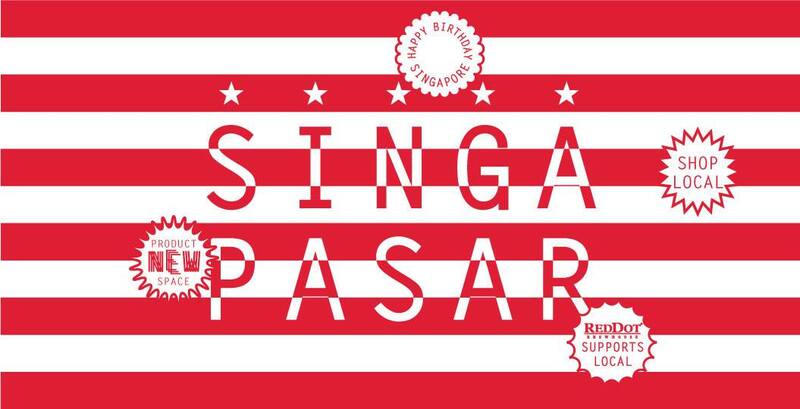 Tickets from $18, from Singapore Coffee Festival. Who would’ve ever thought our former recruits of Hotel Company Platoon 4 1987 would grow up to become an SAF regular, an entrepreneur, an interior designer, an architect and the boss of a fast food chain? 30 years after bidding farewell to these ‘real blur’ 18-year-olds, Malcolm and friends gather once again in this long-awaited sequel featuring Hossan Leong, Saiful Amir, Oon Shu An and more. Expect hilarious surprises, romantic melodrama and music mayhem as we fittingly mark the 50th anniversary of National Service. Tickets from $43, from sistic. 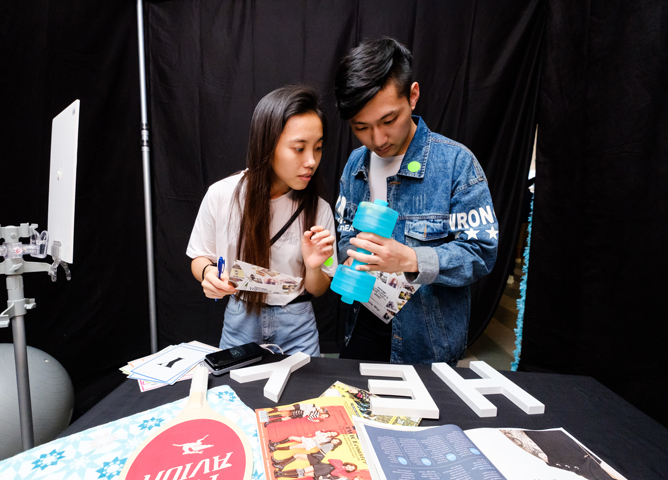 Back for its eighth edition, this year’s Sundown Festival will shine the spotlight on local acts, which includes Derrick Hoh, Jack & Rai, Ling Kai, The Summer State, Jason Chung, and FARRAGO. Listen to the best of our local talent amidst a backdrop of lush greenery at the City beach Resort, Labrador Park. Tickets from $15, visit Sistic. 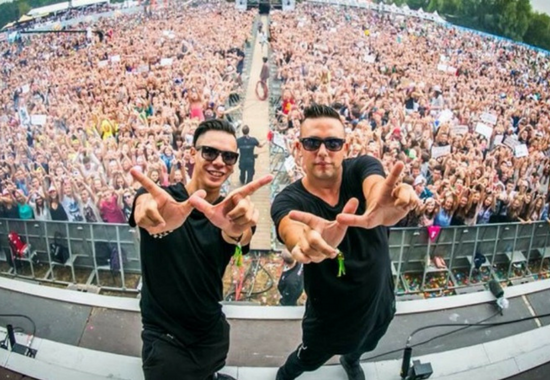 Party the night away at one of Asia’s first lifestyle festival, featuring 30 local and international talents with names that include DJ Mag Top 100 WolfPack, UK House Artist Marc Vedo and more – great for EDM lovers. Tickets from $78, visit The One Asia. 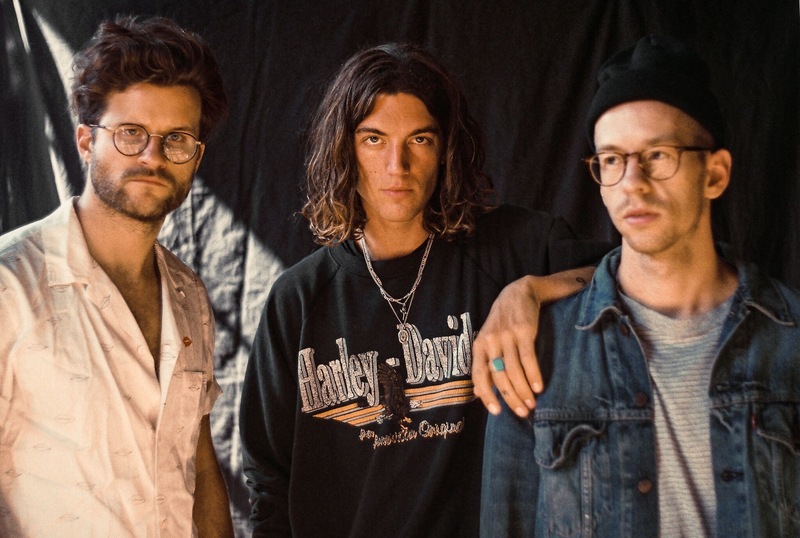 Hot on the heels of their first full-length album, alt-pop sensation LANY is set to bring their infectious blend of new-wave electronica to Singapore. Tickets are completely sold out two months prior to the show, which certainly proves this indie trio’s rising popularity. While you’re busy memorising lyrics to ‘ILYSB’, be sure to also check out Teenage for more LANY goodness! Serious foodies will not want to miss this year’s edition of Epicurean Market, which will feature over three days of culinary adventure – from world-class food, exciting masterclasses, and a farmer’s market that will bring in the best from around the world. 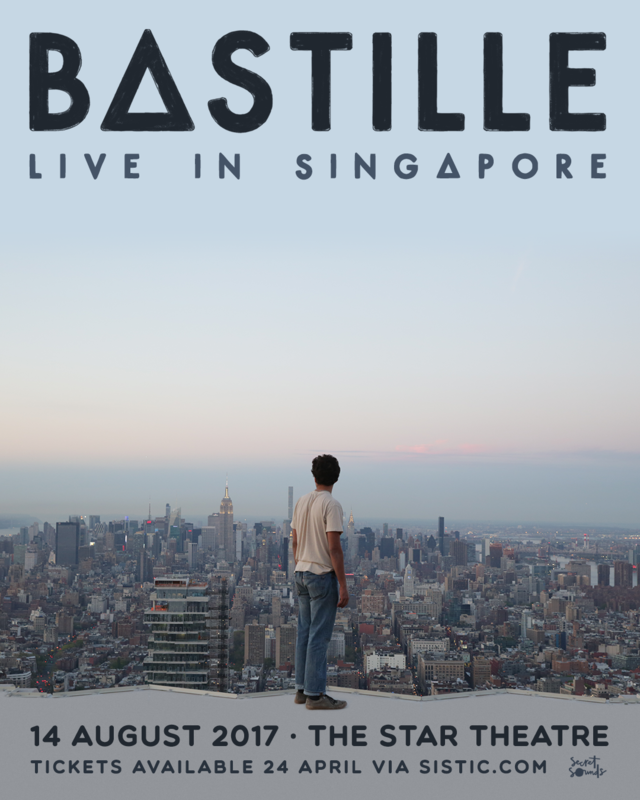 Tickets from $39, visit Marina Bay Sands. 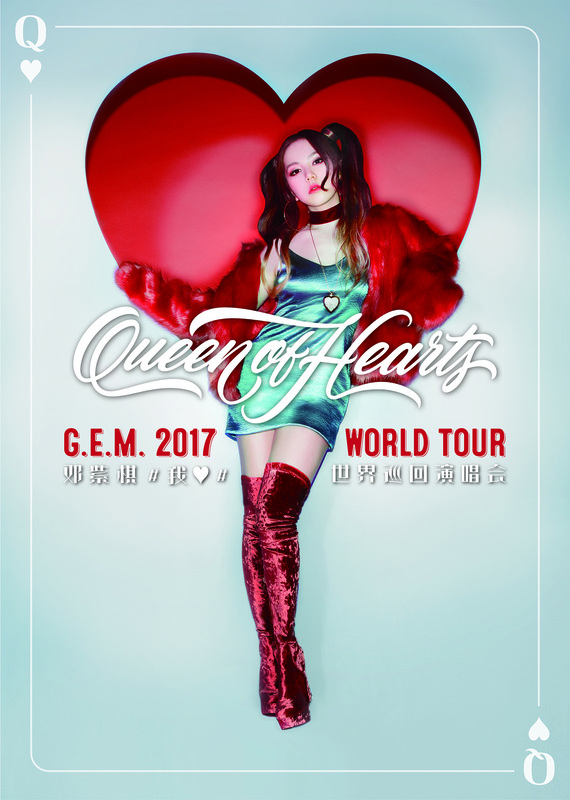 Make way for the queen – Hong Kong’s reigning pop diva G.E.M is back to get everybody moving with her Queen of Hearts show at the Singapore Indoor Stadium. Did you know the songstress wrote and composed all the tracks in her latest album Heartbeat? Get ready to rock out to G.E.M’s explosive bangers in what promises to be a bigger and better concert than before! Tickets from $128, from sporthubtix. 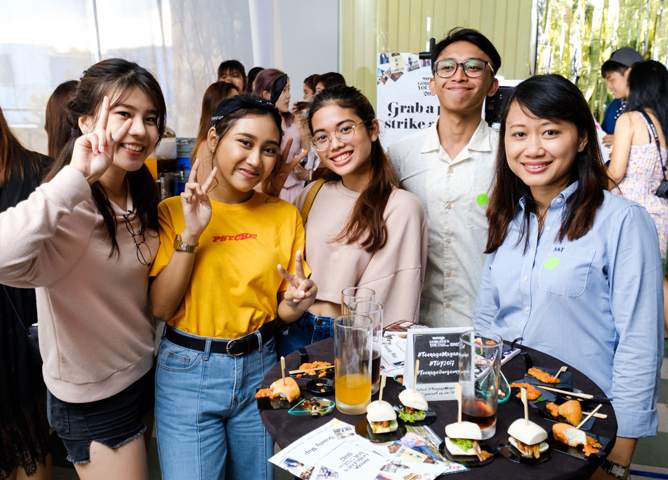 If local street food is your thing, then you won’t want to miss the inaugural RWS Street Eats, which brings together the very best of hawker delights from around the region. 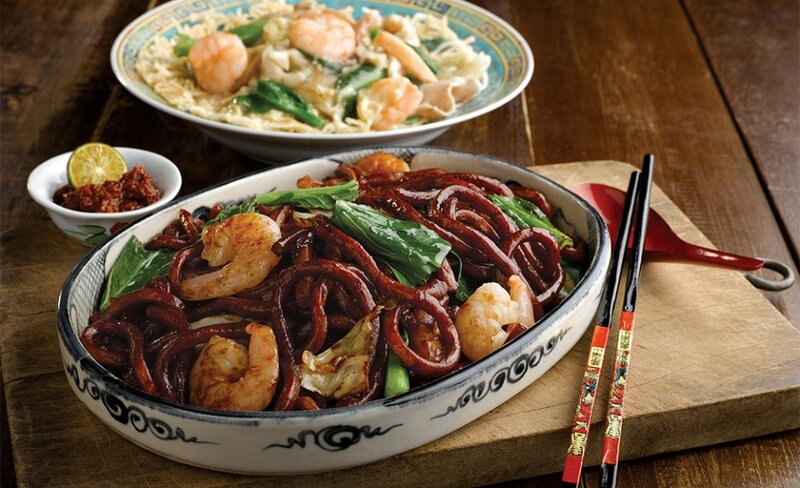 Dig into the famous Jalan Alor Star KL Hokkien Mee, Heun Kee Claypot Chicken Rice and Penang Lim Brothers’ Char Koay Teow, among many other shiok dishes. Pre-book the food vouchers from Resorts World Sentosa. Good grief! Indie pop act Bastille will be returning to our shores for an astounding third year in a row and we sure aren’t complaining. Boasting an unstoppable slew of chart-toppers off their latest record Wild World, we expect nothing less than another show-stopping performance. Tickets from $68, from sistic. Get ready to rock those body moves as DNCE makes their way to our shores. This one night only performance will see this quartet delivering some high-energy performances of their many chart-topping hits, which includes ‘Cake By The Ocean’ and their latest single, ‘Kissing Strangers ft. Nicki Minaj’. Tickets from $128, from APACtix. 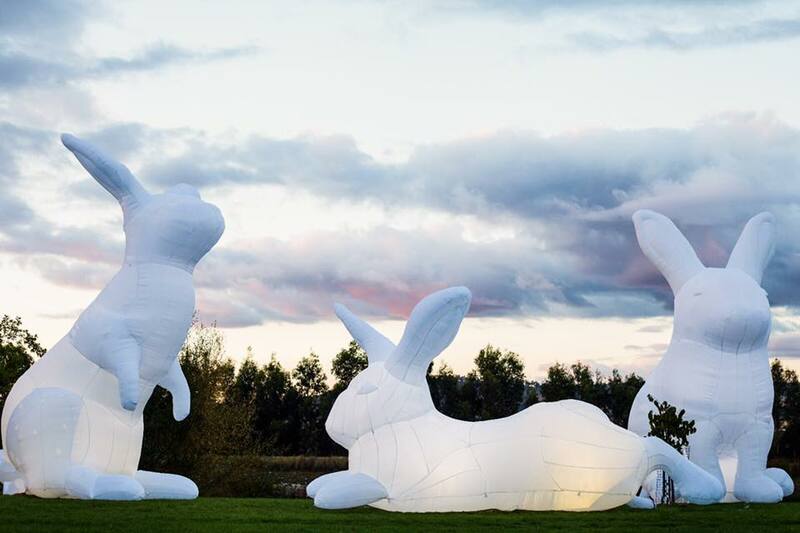 Back for its 10th anniversary this year, be razzled and dazzled at this annual nocturnal bonanza where spectacular light art installations takes centre stage. In celebration of ‘10 Magical Years’, immerse yourself in the galore of illuminated landmarks, cultural institutions and street parties set to come alive in the heart of the city. Visit nightfest for more information. 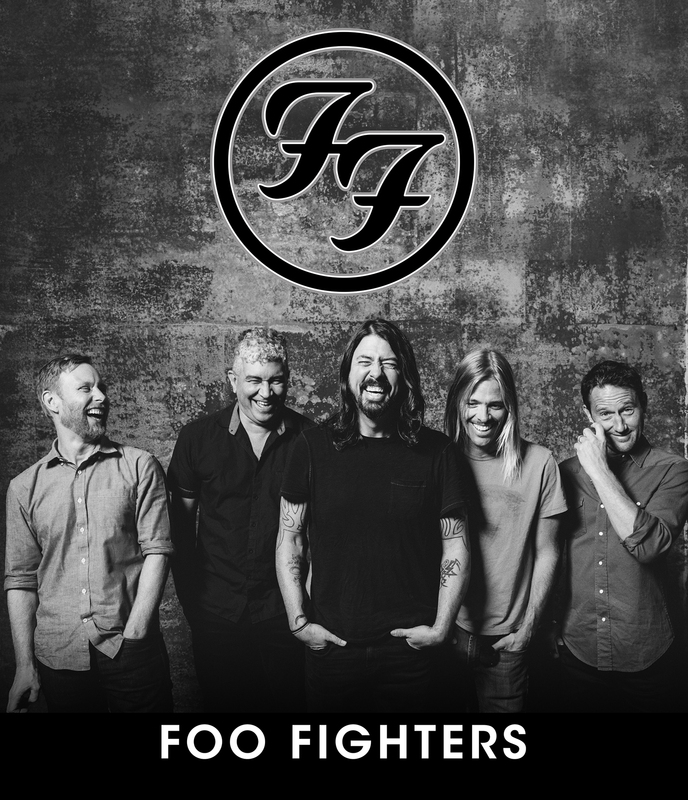 Fans of Foo Fighters were left dismayed when the American rock band called off their 2012 gig, but the wait was not in vain as they will be back to rock the National Stadium come August. Be prepared to be blown away as star man Dave Grohl and his band members perform their 23-year catalog of legendary smashes such as ‘Walk’ and ‘Something from Nothing’ along with their most recent earworm ‘Run’. Tickets from $128, from sporthubtix. For the uninitiated, a human library allow users to come and “borrow” stories from real people instead of books. 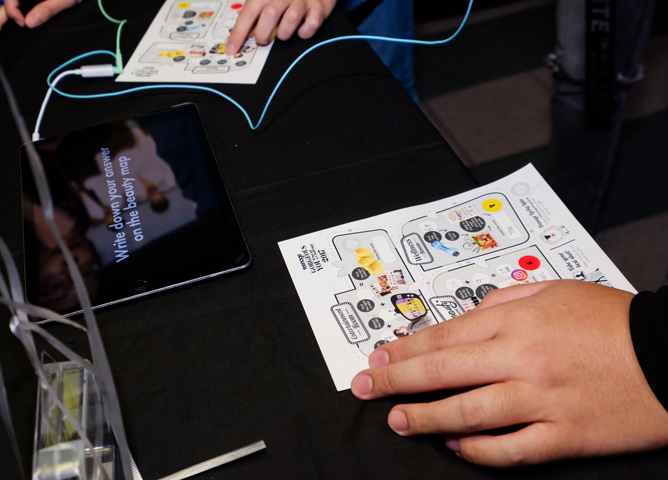 Come listen to the captivating stories and engage in a conversation with the people around. After all, the best stories are meant to be shared. 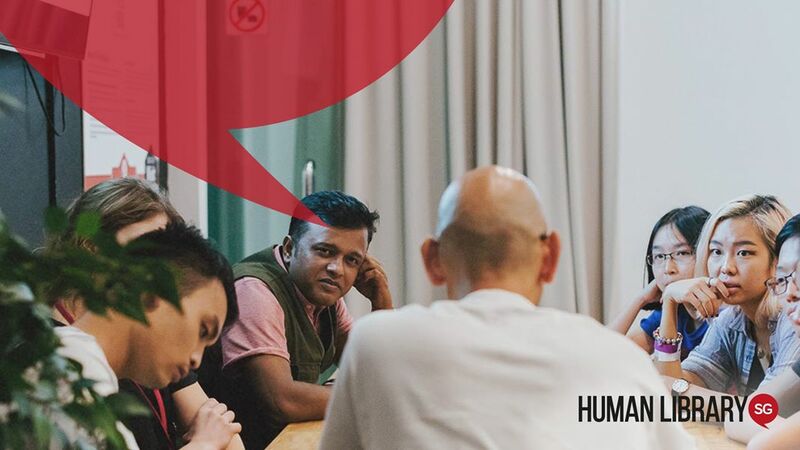 Visit Human Library Singapore’s Facebook page for more information. What will you be up to this August? Tell us in the comment section! More related stories: All You Need To Know About Amazon’s Prime Now Launch In Singapore, These International Eateries Will Take You Abroad Without Leaving SG, Beat The Summer Heat With These Frozen Treats! Teenage August Issue: Power Up! With SG52 right around the corner, who better to rock the cover of our August issue than our very own The Sam Willows? The pop quartet is just one of the many talented acts we have in Singapore – discover more up-and-coming acts and find out what goes on behind the scenes of our local music industry within the pages.In this August issue, we also spotlight next-generation hawkers, share grandfather tales from a pioneer blogger, and speak to It girls Munah Bagharib, Sam Rui and Trishna Goklani. Also inside, BTS, CNBLUE, SHINee, Red Velvet, MAMAMOO, G.E.M, Bastille, Foo Fighters and more! Bonus: get a freebie with every copy of Teenage! What Happened At The Teenage Gorgeous You! 2017 Finale? The finale of Teenage Gorgeous You! 2017 was a grand affair, one that involved food, drinks, cool photo booth opportunities and goodie boxes for all. But like our TGY! 2017 finalists, who completed a whopping 7 challenges, we couldn’t resist putting our guests through some brain-busting activities, escape-room style! 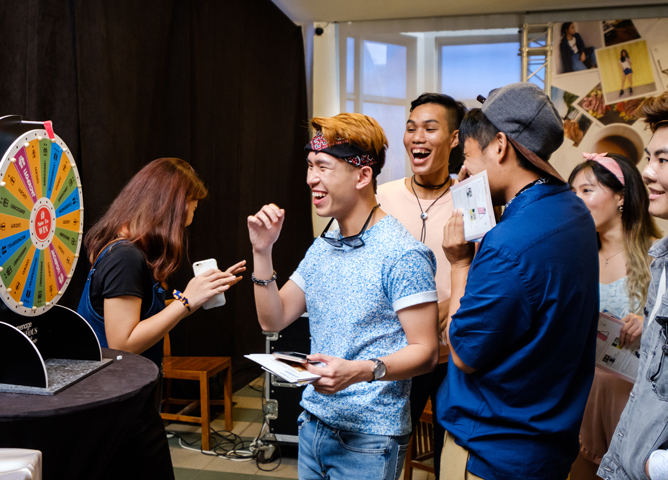 Held at the EBC Lifestyle Hub, the first thing our guests had to do upon their arrival at the TGY! 2017 finals was to score themselves a gorgeous Beauty Map! Okay, this wasn’t so difficult as all our guests had to do to receive a map was to stroll through our Teenage-lettered doors and register. The map depicted 3 rooms that they had to enter and ‘escape’ from. The 3 rooms in question, were the Beauty Room, Entertainment Room, and the Wellness Room. Our guests had to figure out a series of questions in order to escape the room. And upon completion of the map, they would not only gain their ‘freedom’, but also score themselves extra goodies! One of the stations in the Fitness Room required our guests to shake the makeshift dumbbell to find the number within. The best way to get in some exercise! All hands on deck at the Beauty Room! Our guests were supposed to match the respective beauty products, and by the looks of it, they totally breezed through it! Can you tell what’s the final answer for the Beauty Room? Hint: the word sneakily appears on our Instagram (@TeenageMagazine)! 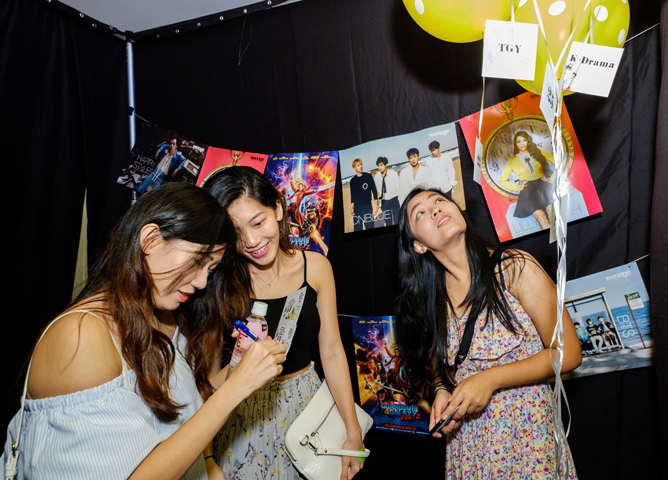 A hit with K-pop fans and music lovers alike, the Entertainment Room kept its visitors busy with TWICE MVs and Goblin cameos! Finding the last key to escaping the Entertainment Room! Upon completion of their Beauty Maps (that wasn’t so hard, now was it? 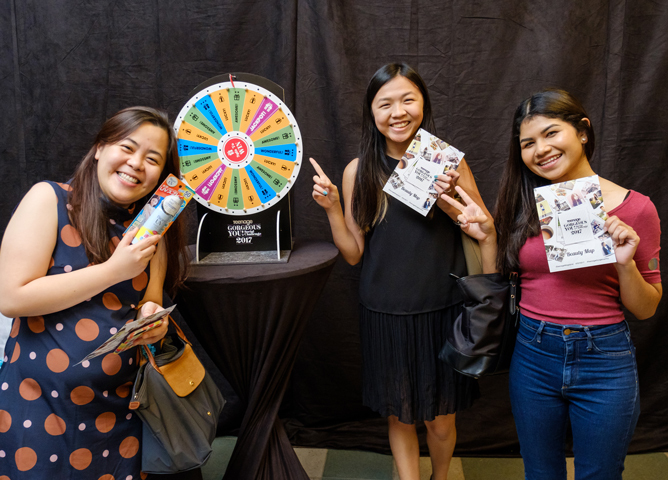 ), our guests had a chance at the Lucky Spin! Tyler looks quite pleased at his results on the Lucky Spin! Our guests looking pleased with their loot! 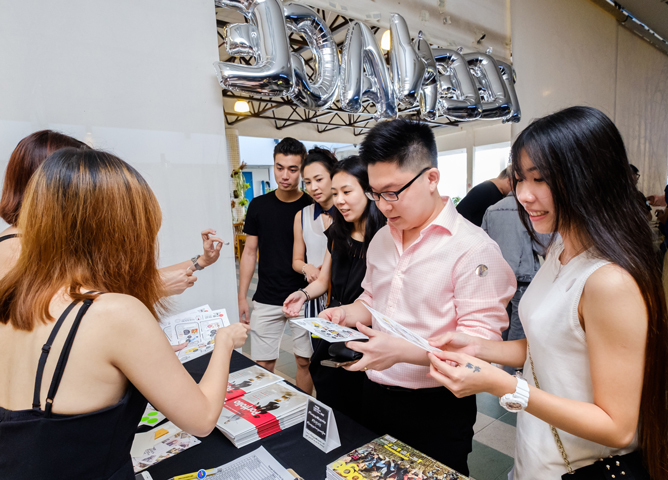 Apart from the activities, our finalists and guests were kept entertained by the food and magazines spread around for their perusal. Holding up a piece of their childhood! As mentioned, the photo booth kept everyone smiling (and busy)! The guests had the chance to try the Casio Exilimex-FR100L camera, complete with 16mm wide-angle lens and makeup art filters! 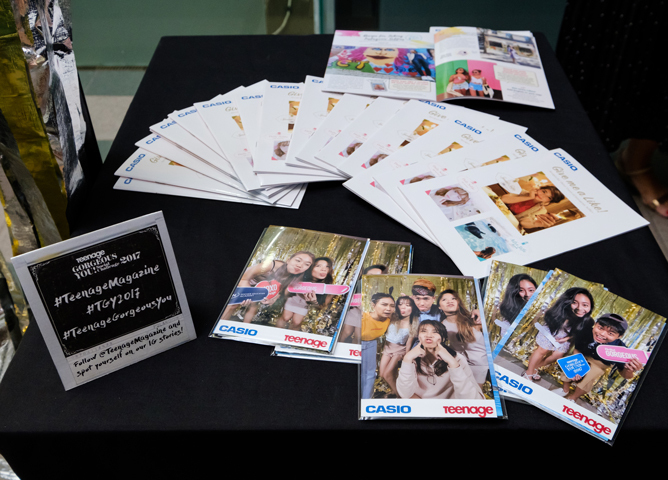 They also received free print-outs from Casio as fun keepsakes from the evening. Having oodles of fun posing for the camera! Onto the main festivities for the night! Starting out the evening with a performance from former TGY 2016! 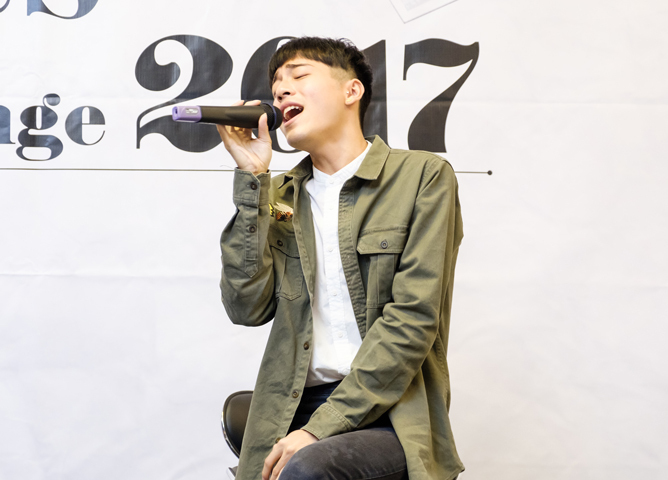 finalist, Leon Markcus, he performed 3 songs – ‘Mannequin’, ‘Alive’ and Taylor Swift’s ‘Blank Space’ – to an enraptured audience. Check out the videos below to see Leon in action! Gathering the finalists onstage, our TGY! super host, Ervin got to know ’em a little better through random quick-fire questions. While some of them got stuck replying, others showed their quick thinking skills. Our TGY! 2017 fam takes a group shot onstage! From left to right: Maya, Derrick, Tyler, Vivien, Syahira, Joanna, Jessica, Chloe, Don, Amyn. Missing from photo: Joyce, who wasn’t able to make it to the finale! Leon, Joseph and Johnstan repping the Teenage Gorgeous You! 2016 cycle onstage! 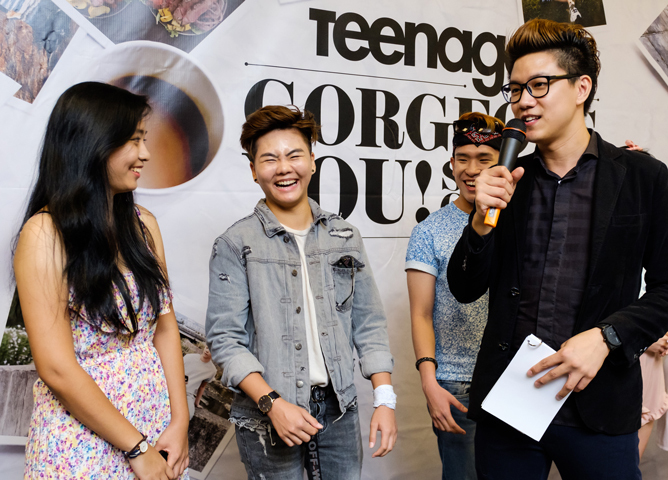 The Teenage team would like to thank all our finalists for putting in so much effort and impressing us with your submissions! This year was definitely made more memorable with you guys in the competition. And while this officially marks the end of Teenage Gorgeous You! 2017, we’re certain that this isn’t the last you’ll be seeing of the TGY! Fam! 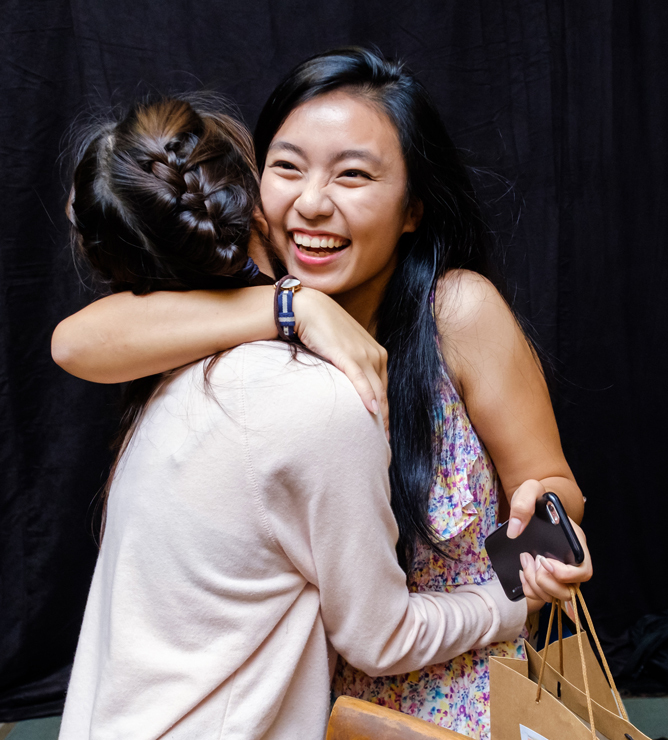 We’ll leave you with this final photo of Maya and Jessica as a remembrance of the friendships forged during TGY! 2017. We can’t wait for Teenage Gorgeous You! 2018! What was your favourite part of Teenage Gorgeous You! 2017? Comment below to let us know!